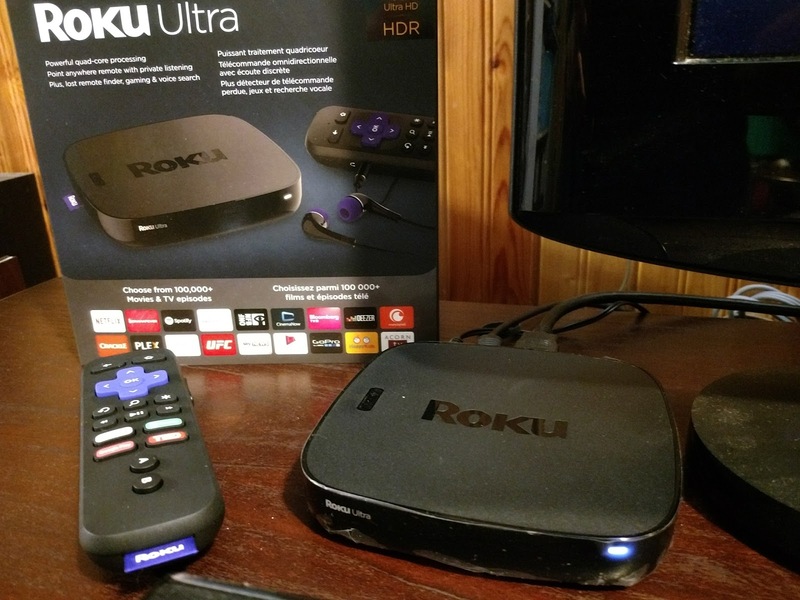 So, the other day a report came out that Roku users had streamed over 1 BILLION hours of content. That's a lot of content being streamed. 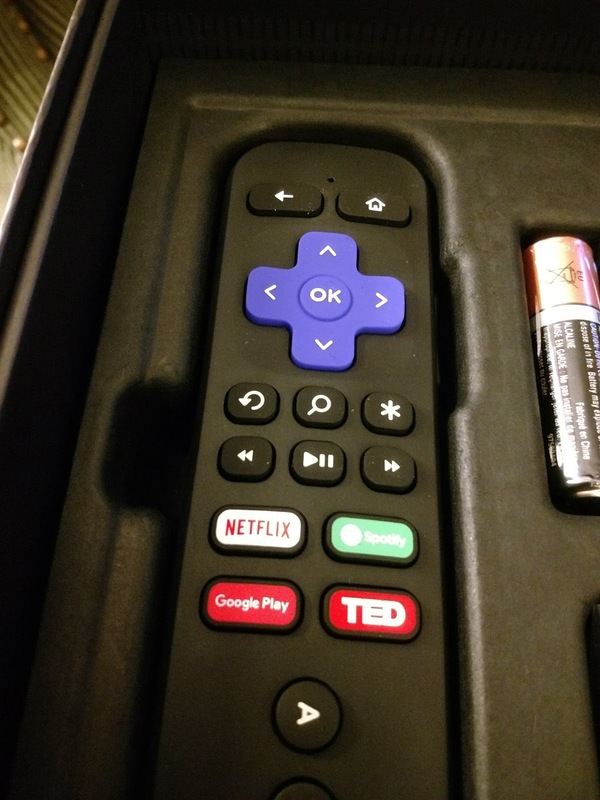 I think my family heavily contributed to that number as we love our Roku 3. When Roku announced their new lineup, I was really wondering how it could get better. 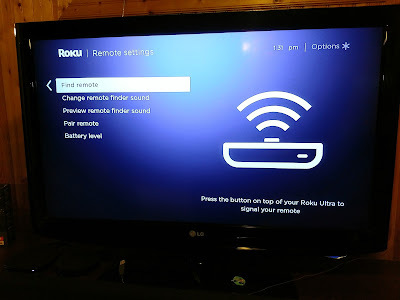 I was able to snag a Roku Ultra for review and it is a step up in many of the ways that make it a worthwhile investment. Now the Ultra is the top of the line device and sets itself a price point of $140. Pretty pricey when you think that you can nab their Express for just $40, so what is the difference? And if I have a Roku 3, do I need to upgrade? 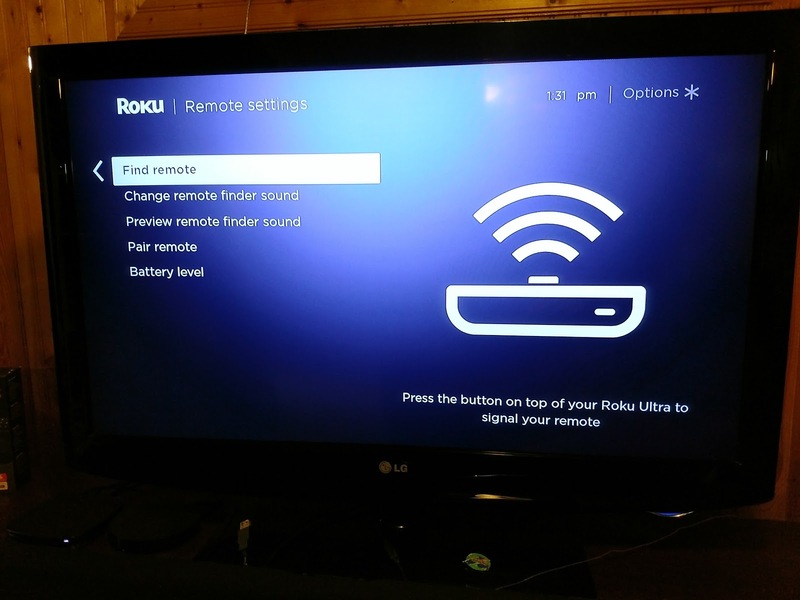 There's some hardware inside that is different as well, but when I compare it to my Roku 3, I don't notice any difference in navigating the menus or the apps. So the main difference from this over the 3 would be the 4K output (which I don't need to worry about), the optical output, which is greatly appreciated and the new remote finder. One point is that the voice control feature is now only available on the Ultra lineup. I have it on the 3 and don't think that I'd be happy going to the Premiere (or Premiere+) and not have it. It also has the Private Listening feature (where you can plug headphones into the remote to listen to the streaming content, which is just great, you only get it on the Premiere+ or the Ultra. Another feature I could not lose on a new device. So, let's look at the big new features. The way it works is that you can walk up to the unit itself and press the + button on the top and what will happen is that the remote will start to beep. You can change the type of beep, but it'll keep beeping until you find it and press OK. It's super handy when you have a son like mine. For me, the big advantage was that the device now has Optical line out. Which is great, as my amp doesn't handle HDMI in for audio, nor does my TV have a monitor line out to plug into the amp. So I can plug my box straight into the soundbar I have and get big sound out of it. A small change was that they went to having the "OK" button in the middle of the directional pad. 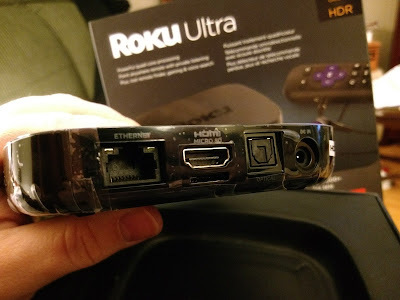 For some reason, the Roku 3 had it below. Seemed a weird place, but I got used to it. Having it in the middle of the directionals is so intuitive. You'll see there are new buttons now for the quick settings. Netflix, Google Play (Movies) are the same but now has Spotify (as Rdio on my older one is now dead) and TED. Personally, I would have preferred being able to customize them (we use Youtube A LOT). All in all, it's a great box to stream and for the price difference from any of the lower models. Best of all, it has a handy-dandy app for your phone that you can stream the audio through that, control the remote, etc... it's great. Check out the differences between all the new models here or here.